Issako Malo was born in 1950 in American Samoa. He enlisted in the U.S. Army on July 9, 1970, and completed basic training and infantry training at Fort Ord, California, in November 1970. His first assignment was as a rifleman with Company B, 3rd Battalion, 22nd Infantry Regiment of the 25th Infantry Division in South Vietnam from December 1970 to April 1971, followed by service as a rifleman with Company L, 75th Infantry Regiment (Rangers) in South Vietnam from April 16, 1971, until he was captured and taken as a Prisoner of War on April 24, 1971. After spending 704 days in captivity, SP4 Malo was released during Operation Homecoming on March 27, 1973. He was briefly hospitalized to recover from his injuries, and then served as a Test Supervisor with the U.S. Army Training Center, Infantry, at Fort Ord from August 1973 to March 1975. Sgt Malo next attended FIM-43 Redeye man-portable surface-to-air missile system training at Fort Bliss, Texas, from March to April 1973, followed by service as a Redeye Team Chief with Company B, 1st Battalion of the 36th Infantry Regiment in West Germany from June 1975 to August 1976. His final assignment was as a Squad Leader with Company A, 3rd Battalion of the 32nd Infantry Regiment at Fort Ord from October 1976 until he received an honorable discharge from the Army on June 26, 1978. Issako Malo died on September 10, 2014. 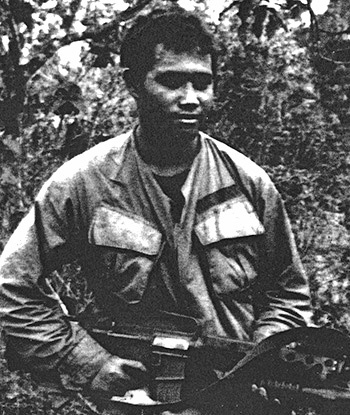 Sergeant Issako F. Malo distinguished himself by meritorious service while held Prisoner of War in Southeast Asia during the period 24 April 1971 to 27 March 1973. His ceaseless efforts to conduct himself strictly in accord with the Code of Conduct and policies of the prisoner organization in the difficult conditions of a communist prison clearly demonstrated his loyalty, love of country and professionalism. 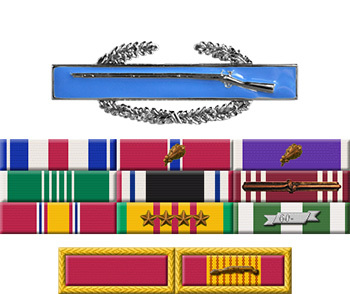 By his unselfish dedication to duty, he reflected great credit upon himself and the United States Army.